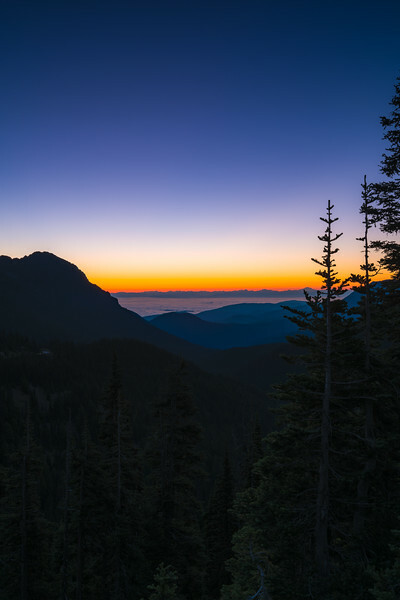 Just before sunrise a quarter mile before Hurricane Ridge in Olympic National Park, Washington. 🔸 When seeing this view of the Straights of Juan de Fuca and the coastal region I was born covered in a thick layer of fog, I had to shoot! The mountain range in the background (where the orange is) is the Cascades.